Welcome to my very first ever blog post! I’m Donna, and I’m a Maryland Master Gardener. I thought I’d start this blogging thing off by telling you a little about why I grow vegetables. There are many reasons people grow their own vegetables – they taste better than that store-bought stuff, they are healthier than that store-bought stuff (studies have been done! ), you can get more varieties, it’s a fun way to get outside and get moving, it’s cost-effective. While I certainly gain all these benefits from growing my own, the truth of the matter is that I grow vegetables because of my Dad. When I was a little girl, every summer I was always out working in our little backyard vegetable garden with Dad. He taught me how to grow tomatoes, peppers, zucchini, cucumbers, beans, and others, I’m sure. This was just the way of things back then. Everybody had a garden. In fact, to this day I cannot buy zucchini in the grocery store because ‘you are supposed to grow your own’. I was 13 years old when my Dad passed away suddenly. I vaguely remember trying to have a garden for a few years after that, but without him it was no longer a priority. Anyway, I was busy trying to grow up – go to college, get a job, get married, buy a house (not necessarily all in that order!). It was when the house came, and I had my own land, that I was drawn again to growing vegetables. This was just the way of things, remember. 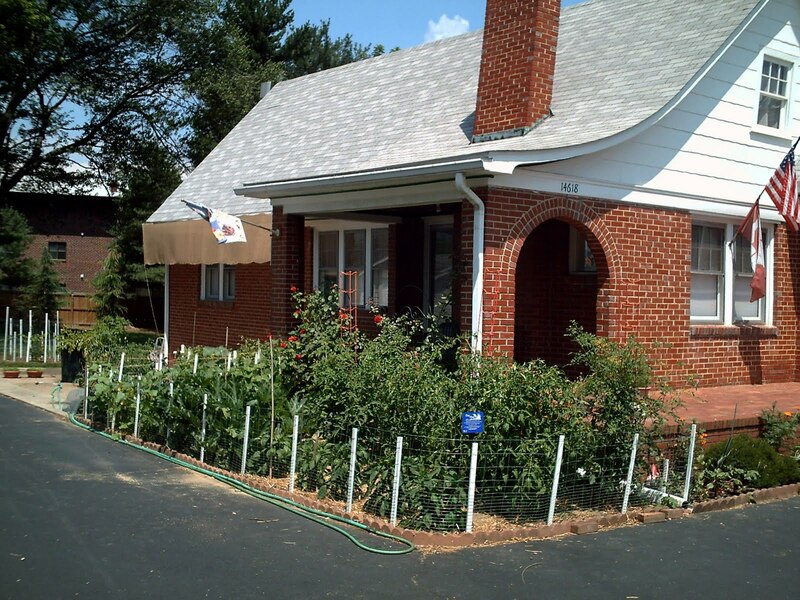 I started small: a tomato in my flower garden, a hill of zucchini over there…Slowly but surely, each year my garden expanded, slowly replacing all the (inedible) ornamental plants that were taking up precious usable space. Wow, this post really touched me! Thank you for sharing! Your garden looks beautiful, I look forward to seeing more of it! Love your blog post, Donna! Reminds me of my parents. They always had huge vegetable gardens. But instead of using it as an opportunity to teach us, they just required us little kids with the “strong backs” to bend and pick weeds. Hated it! Daddy was heavy handed with the chemicals too. The more toxic, the better. He got a big laugh when I tried to educate him on the benefits of a more natural approach to pest control. Loved the food produced and put on the table from the garden. Hated gardening. Funny that horticulture would be my academic concentration of choice. Eventually, we all seem to return to our roots. Thank you so much for sharing that. My daughter is only 5 and has started gardening with me. I hope 1 day she can look back and feel the same way. Aw, thanks for your comments. It's really only been the last few years I've realized the connection to Dad when I'm in my garden. This connection is so important to me because nowadays I miss more the man I never got to know than the one I did. I didn't know about newspaper/straw mulching at the time – something I learned recently and now swear by it. Putting a few sheets of newspaper down around the plants, wetting it, and covering it with some straw has saved me many an hour of tedious weeding.